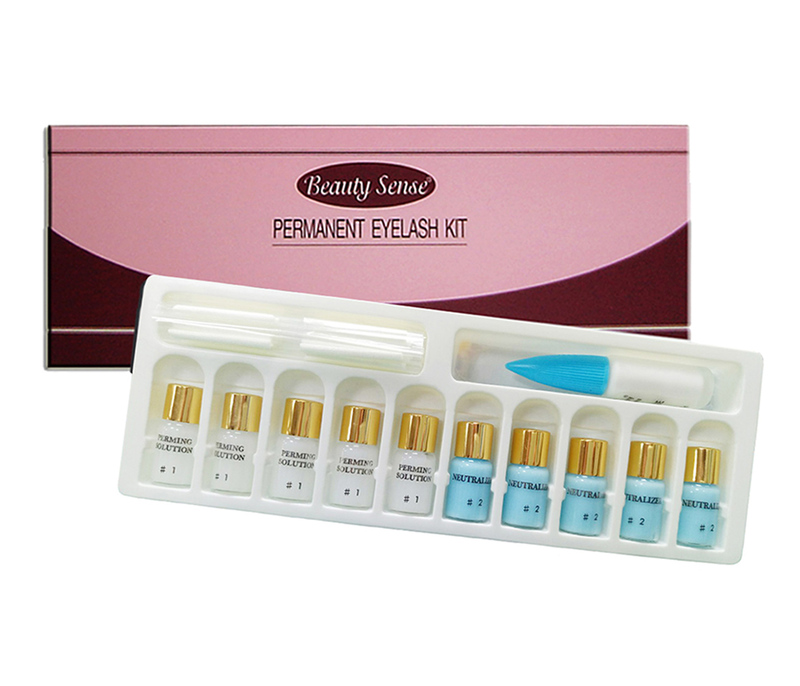 Eyelash Curler Kit - Buy Product on Taiwan Cosmetic: Permanent Make-up Kit, Eyelash Perm Lotion, Hair Scissors - Palifull Co., Ltd.
♦ The products adopting the newest prescription which will not hurt eyelashes. ♦ The eyelash rods are of super-strong curling and sticking. 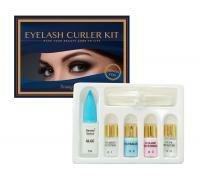 ♦ Including two sizes of curlers in medium and small size, easy to use. 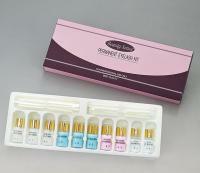 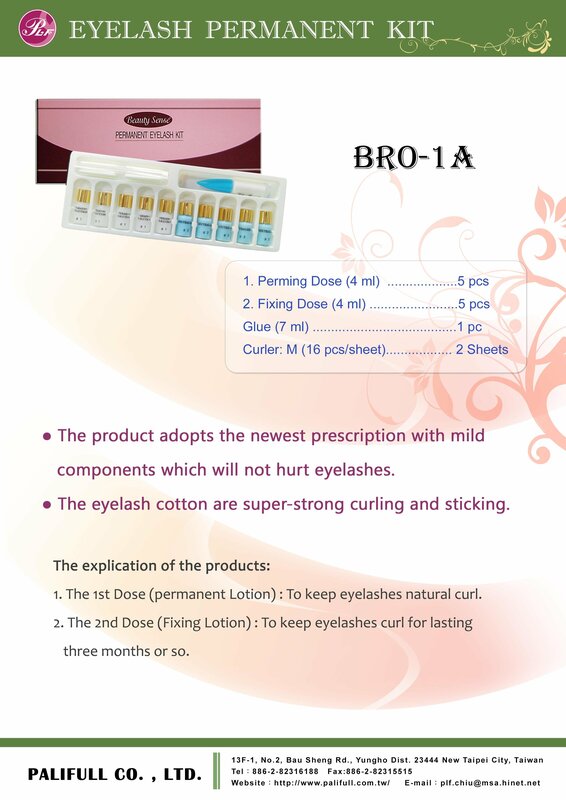 #1 Color white (permanent dose): To make eyelashes natural curl. 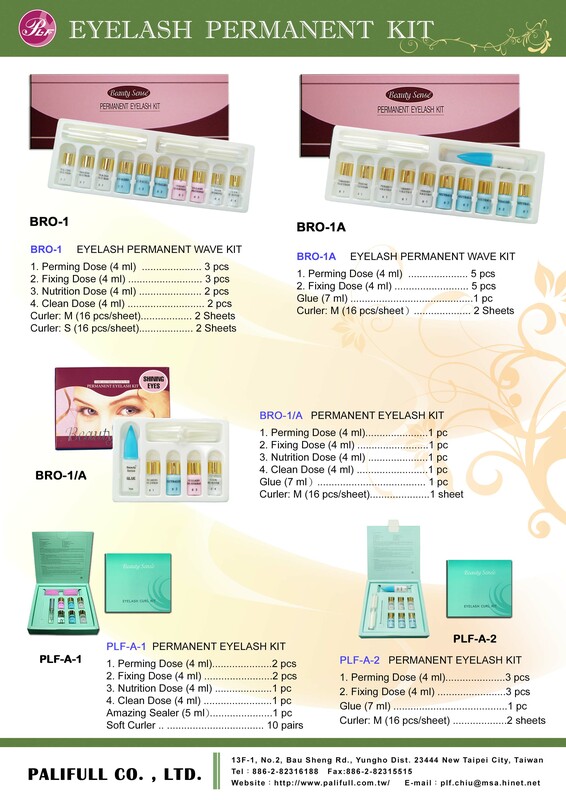 #2 Color blue (Fixing dose): To keep eyelashes curl for lasting three months or so.